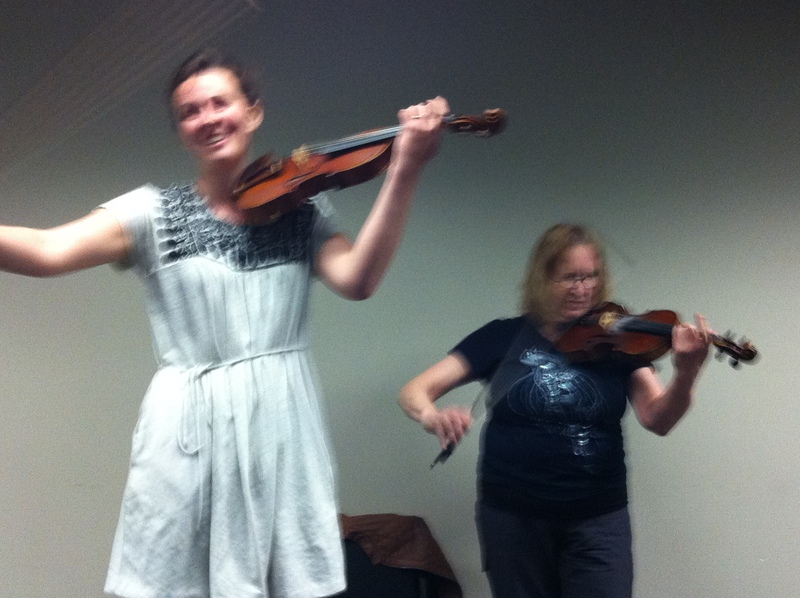 Count down to World Fiddle Day at Fort York – last practise jam at Long & McQuade this Sunday from 12 to 3. Note the earlier start time, we’ll have a full 3-hours to rehearse our musical journey around the world from Ireland and back home to Canada. Thanks for Lea Kerstein’s great company leading our Scandinavian session with Anne last Thursday. Joyous! There’s still space in the Saturday morning workshops. Check-out the artist’s bios under the “World Fiddle Day 2016” tab to help you choose. Details for Sat. May 21st at Fort York will be posted soon – keep an eye on your inbox. Come on out and JAM with us!